Watch a robotic welder zap metal parts together at Therma Tron-X, or taste chocolate chip cookies baked in 45 seconds in an industrial oven made at Hatco Corporation (pictured). These experiences and many more await you, your family, friends and co-workers during the second Door County Manufacturing Day, October 27, 2018, 8 a.m.-12 p.m. The public is invited for free tours of 12 manufacturing and production companies’ facilities in Sturgeon Bay. 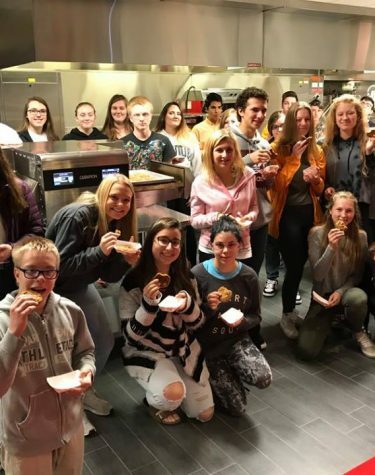 Our future workforce will have the opportunity to explore career options here in Door County, when 200 high school sophomores from the four Door County mainland high schools will tour 12 businesses Thursday, October 25. The businesses include: Cadence, Inc., ExacTech, Fincantieri Bay Shipbuilding, Hatco Corporation, Hi-Tec Fabrication, Key Industrial Plastics, Marine Travelift, Inc., N.E.W. Industries, Pro Products. Inc., Therma Tron-X, Inc., Sunshine House, Inc., and WireTech Manufacturing. Added this year is a Job Fair at the participating businesses. If you’re searching for a new job or career, bring your resume and prepare to engage with companies that are currently hiring. Tour the business, talk to people who work there, and apply on site.